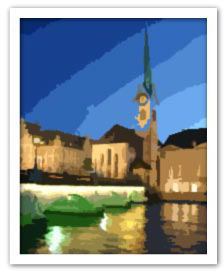 Zurich is the largest city in Switzerland and contrary to popular belief is not the country’s capital. A scenic and surprising travel destination, with an increasingly cosmopolitan population (one in three residents is foreign), and a wide range of conference and leisure facilities. We think Zurich makes a marvelous destination for a European team build! In the city, we recommend taking a ride on the Polybahn funicular for a fine view of the city, Lake Zurich and the snow-capped Alps. Or take part in one of our Top Outdoor Events such as The Apprentices and treat your team to a Swiss away day they will remember! We are dedicated to providing award-winning team building events anywhere in Europe, and Zurich is a particular favourite. Speak to one of our friendly sales team on 0845 006 06 06 and starting planning today.